Prices range from 40$ to 175$ depending on size,leather used,pockets added, loops metal beads bone, laced or sewn & straps. Small medicine bags most are machine sewn prices range from 4 to 10$ with the upper priced being hand sewn. 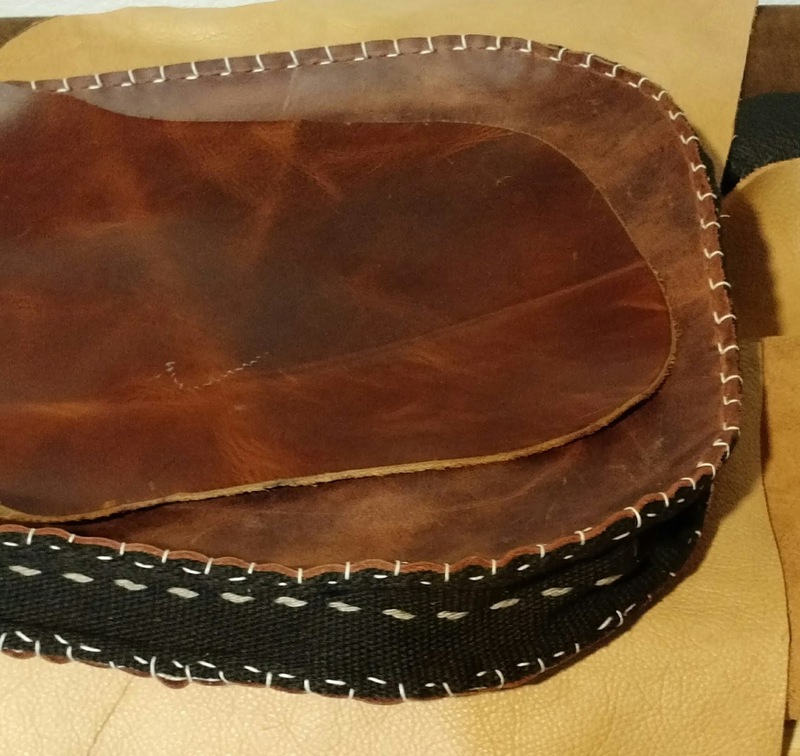 You're purchasing one belt bag appx size 6x7" or larger hand sewn with white hemp,waxed linen, artificial sinew,cotton,flax thread. 1 or 2 belt loops on the back for the belt/sash. Shoulder straps can be adjusted either by lacing strap together or rings to desired length. These bags or pouches are hand stitched using a variety of thread. BPBReloading manufactures these bags they are not a cheap imported knock off. The leather ,stitching and finish represent a home made item like would be put together in a frontier home using scrap or re-purposed materials available. Your bag or pouch may ,(will); have slight defects such as a crooked stitch, misshaped flap,odd coloration, different strap materials. Leather used is top quality and from various sources. 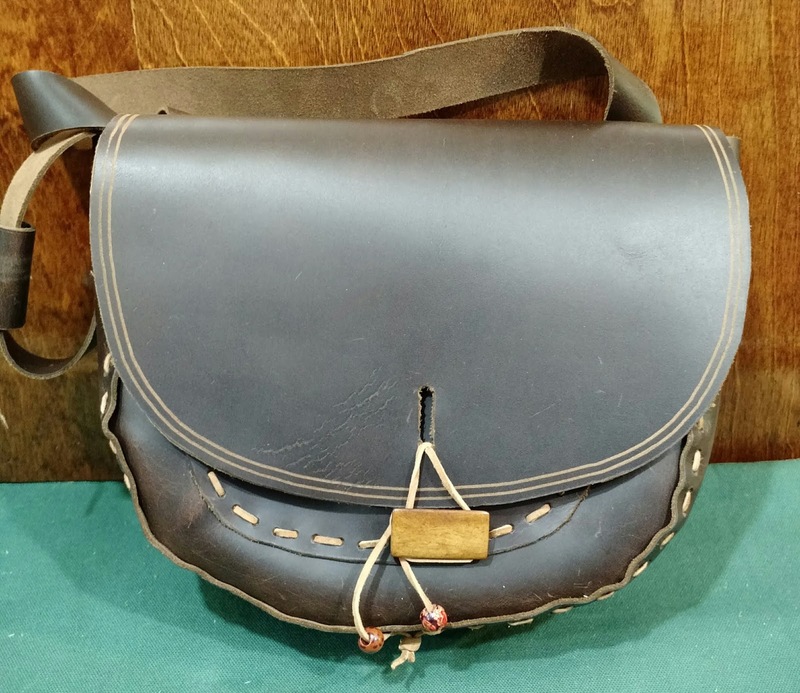 Your bag or pouch may have several different leather color valuations & weight. Most have a gusset see pictures for each item. 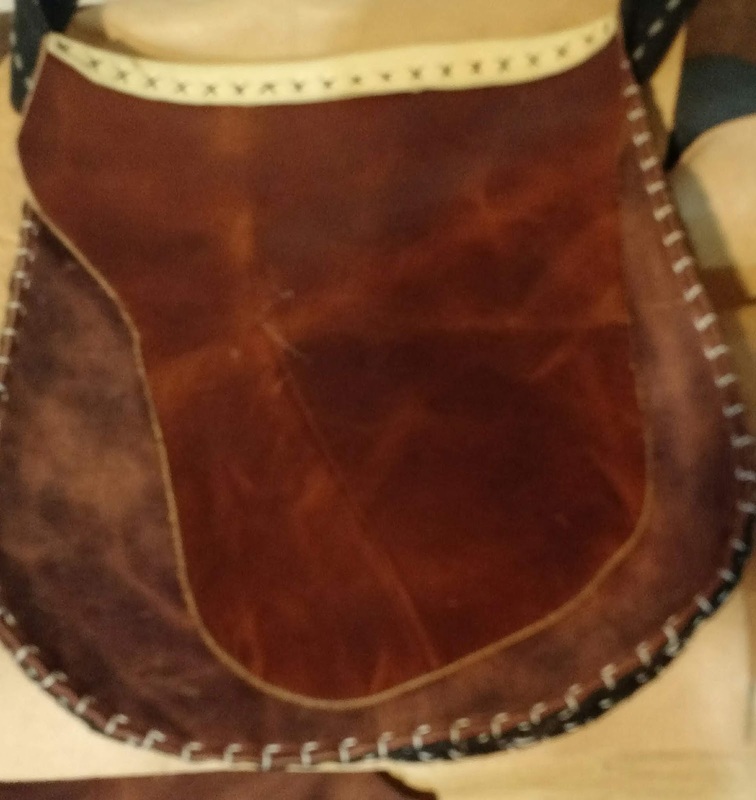 The gusset will be of leather or woven strap. 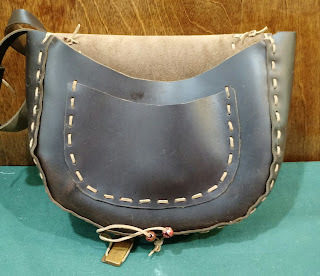 Belt loops,slots or a adjustable strap for carrying. Shipping will be the least expensive way possible. That is usually USPS flat rate. The sale price reflects all auction fees,paypal fee & handling/shipping cost. BPBReloading has been a licensed FFL for over 30 years & is a solely owned veteran operation.